No less than 4 South African parks have been awarded a top 10 position in the definitive list of Africa's best safari parks. MalaMala, Sabi Sands, Phinda and Kgalagadi all received a top 10 ranking. 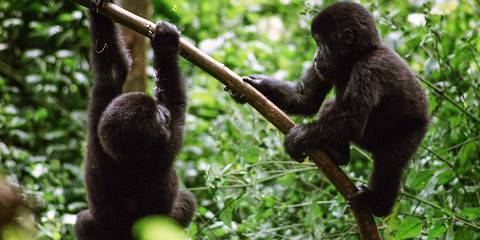 No other safari country has so many parks in the top 10. An excellent result for South Africa. SafariBookings.com has published the list of Africa's best safari parks. The list was based on 3,008 park reviews that were collected via the SafariBookings website. Of this total, 2,234 reviews were contributed by safari tourists from more than 60 nationalities. To complement these user reviews, reputable guidebook authors (working for Lonely Planet, Rough Guides, Frommer’s, Bradt and Footprint) teamed up in the SafariBookings Expert Panel and wrote another 774 expert reviews. With a rating of 4.81 stars out of 5, MalaMala Game Reserve ranked second of all parks, topped only by Serengeti National Park. 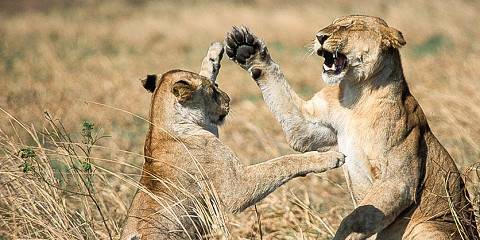 Sabi Sands was awarded the 6th position, Phinda Game Reseve ranked 7th, and Kgalagadi Transfrontier Park 9th. Kruger ranked 20th, which came as a surprise to the SafariBookings team. They expected this top-class park to rank higher. 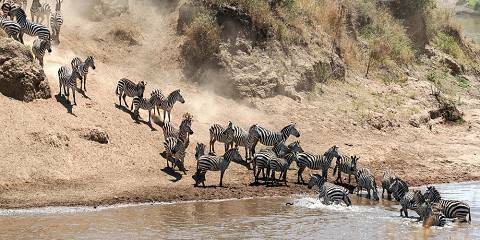 Why are these 4 parks such great safari destinations? What do experts say about these 4 parks? What do safari tourists say about these 4 parks? MalaMala, Sabi Sands and Phinda are all top-class private game reserves. Besides excellent accommodation, food and guiding, these reserves offer superb wildlife viewing with almost guaranteed sightings of the Big Five. Kgalagadi is one of the most rewarding destinations for self-drive visitors; it is off-the-beaten-track with great wilderness appeal and excellent wildlife viewing. Kgalagadi's scenery is stunning; the red sand dunes in the inhospitable desert form a magnificent backdrop for wildlife viewing and photography. The three private reserves offer night drives, walking safaris, and the off-road driving allows close wildlife encounters. Phinda is arguably the best place in Africa to see Cheetahs. MalaMala and Sabi Sands share an unfenced border with Kruger National Park and are part of this enormous eco-system. MalaMala doesn't offer traversing rights to guests from other properties, making it very exclusive and not crowded. James Bainbridge UK – Senior author of the Lonely Planet to South Africa. Philip Briggs ZA - Author of 7 Bradt guidebooks to Africa, incl. South Africa. Melissa Shales UK - Award winning writer for Fodors, Frommers and Insight. Stephen Cunliffe ZA - Acclaimed travel writer and avid conservationist. Want to visit South Africa?